Project location: Chaco Serrano woodland; Communities; Harvesting water. 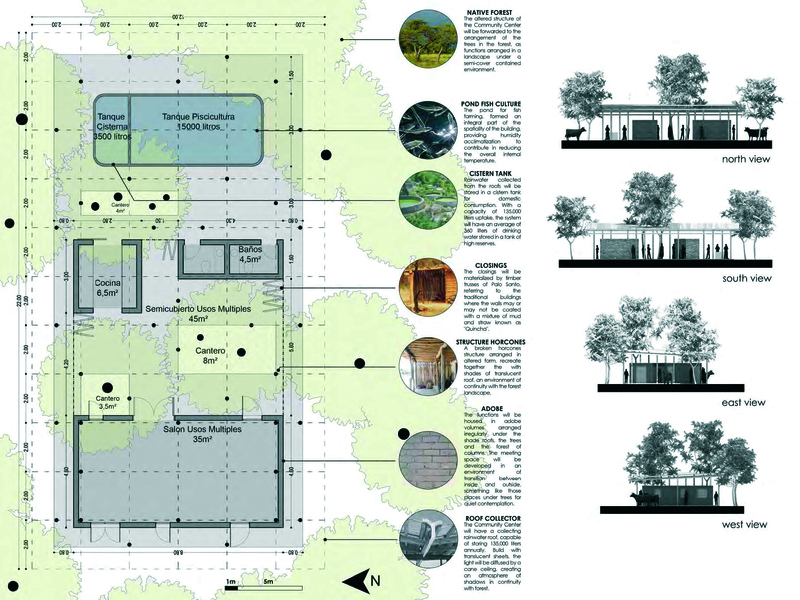 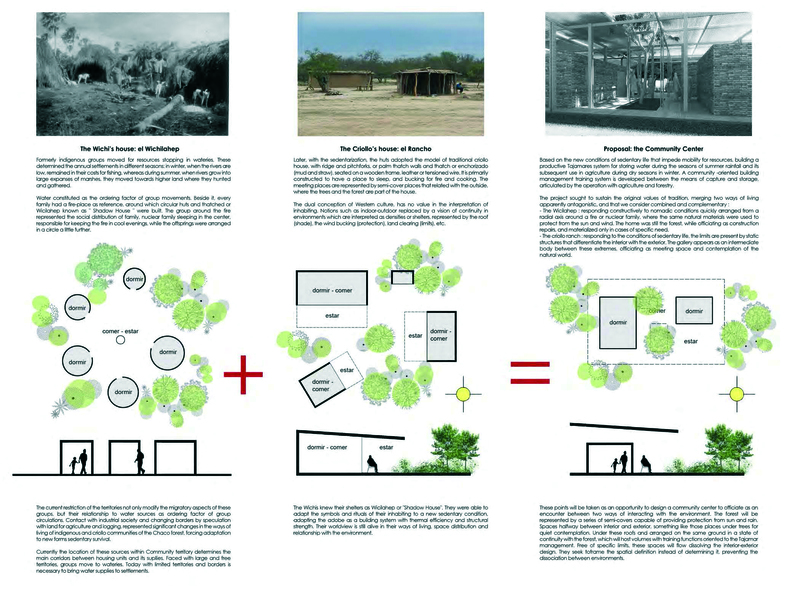 Community center and the forest; Structure and trees; Roof and water. 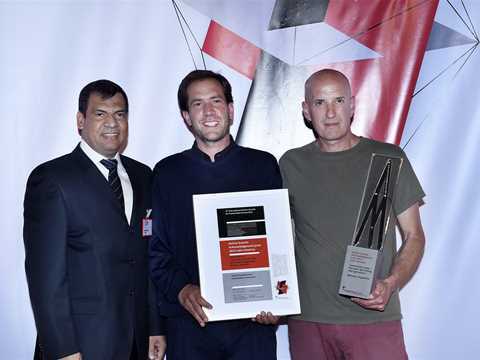 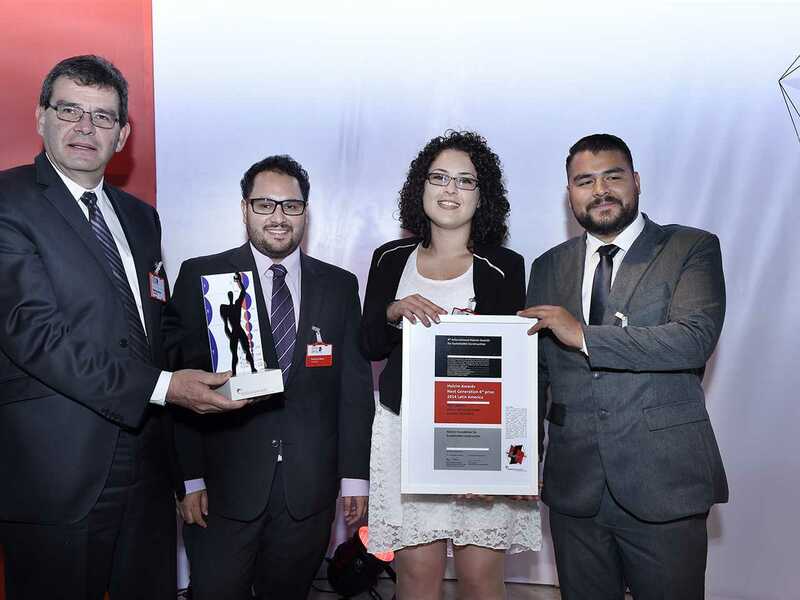 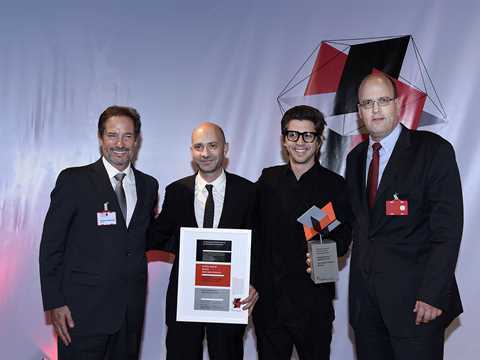 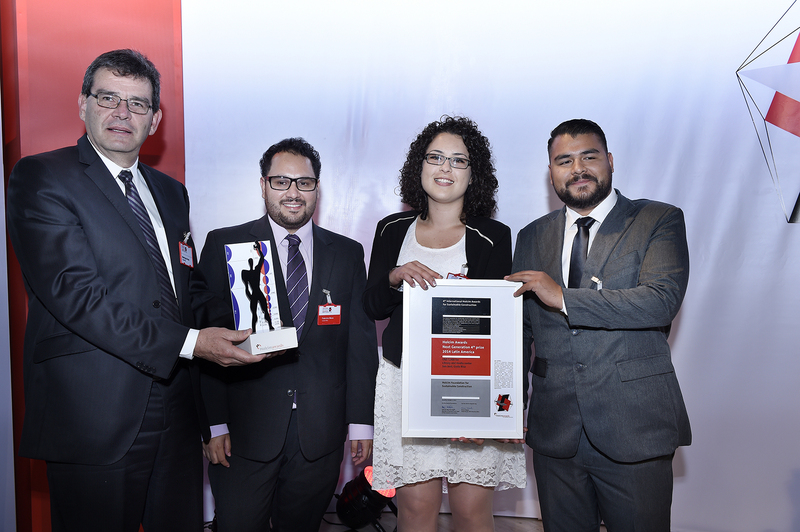 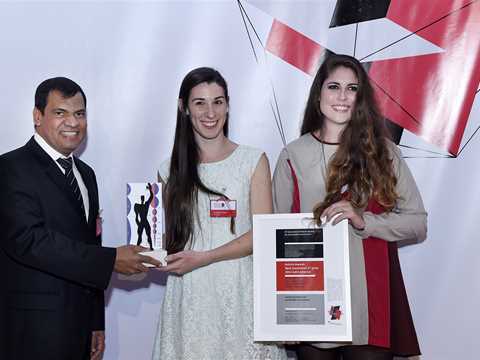 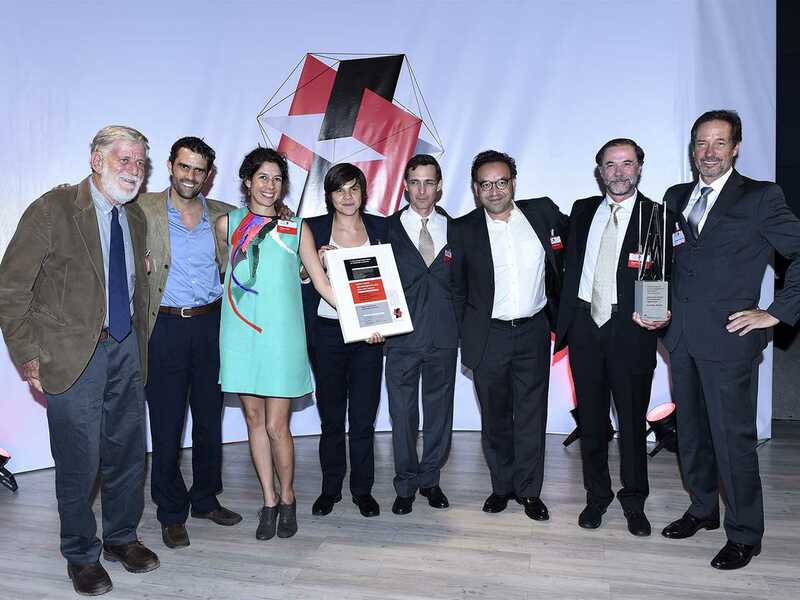 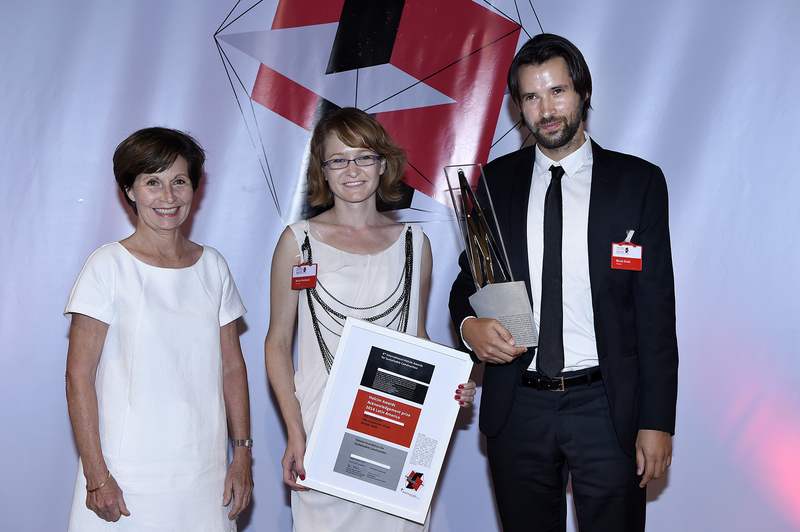 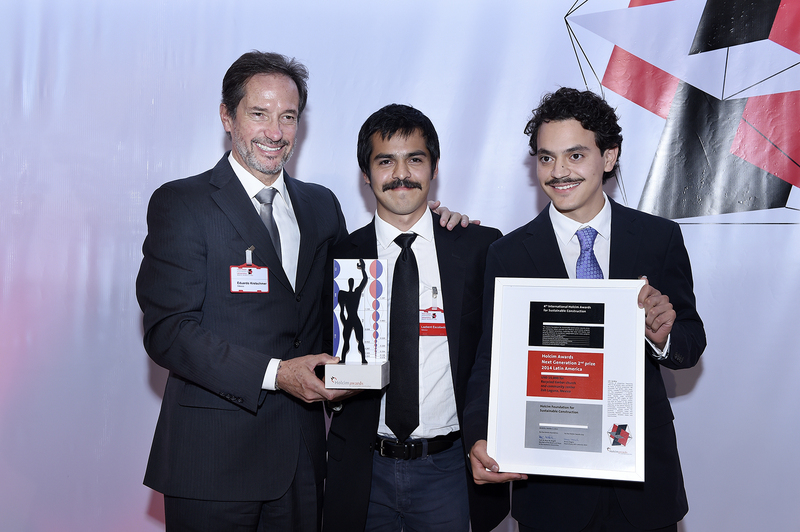 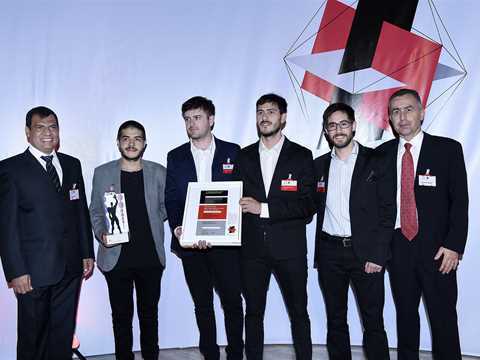 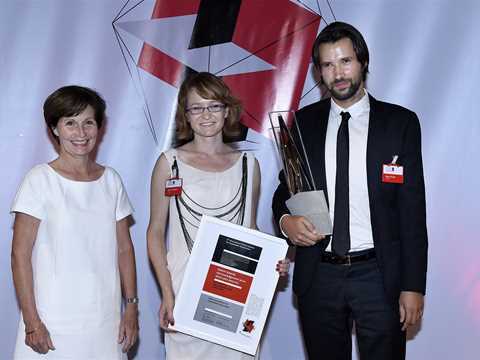 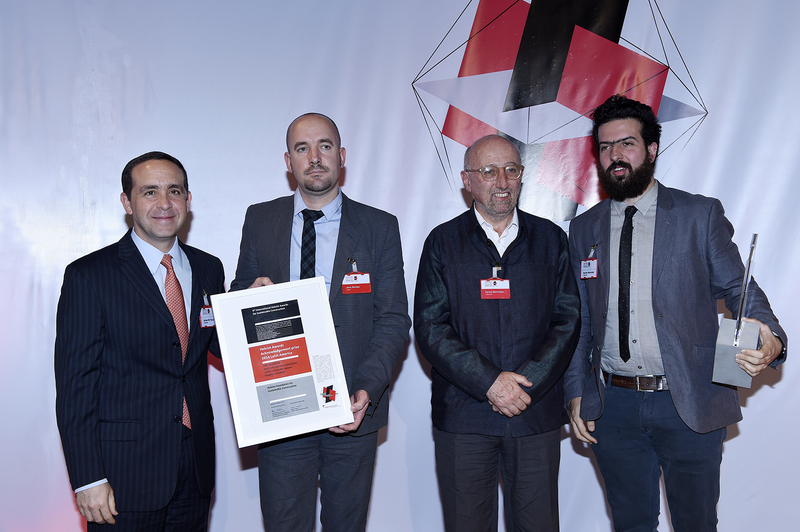 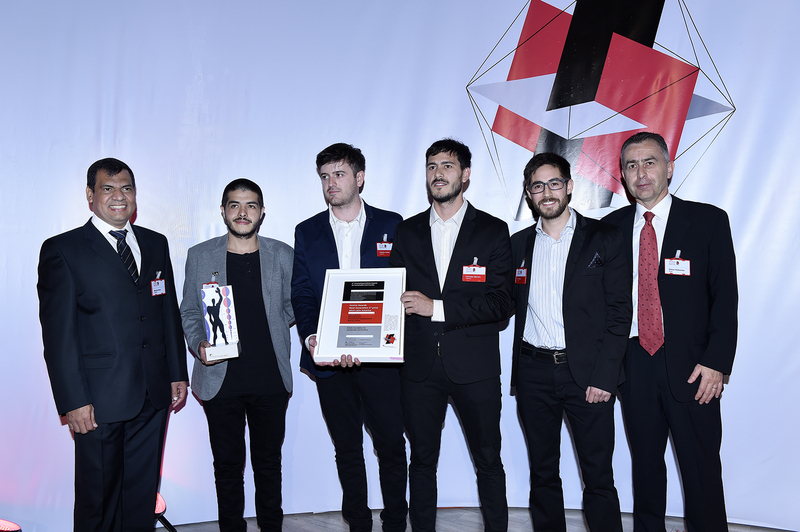 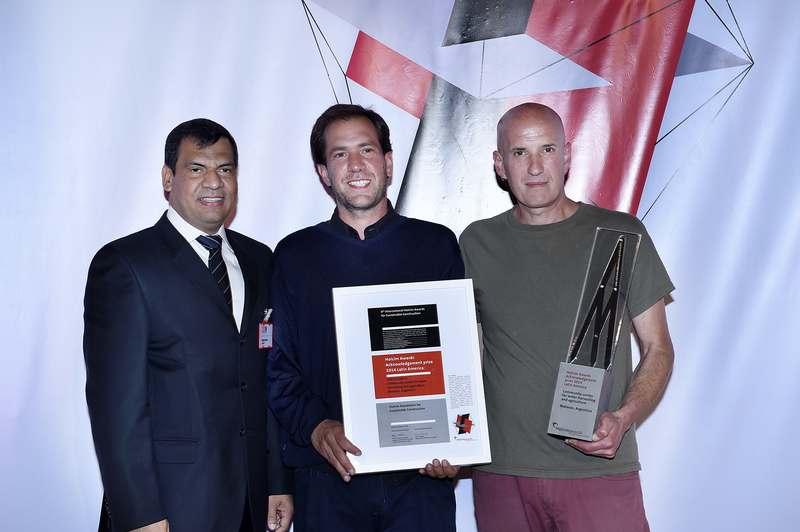 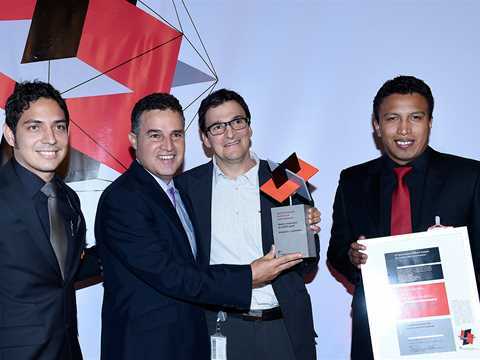 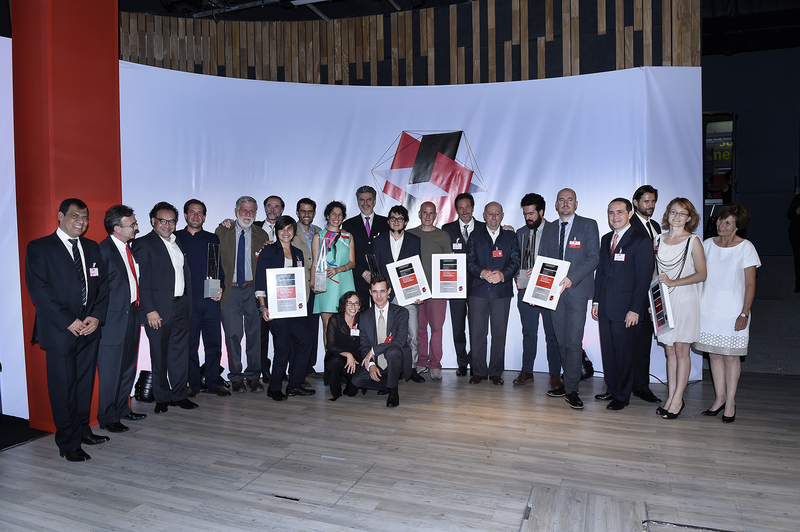 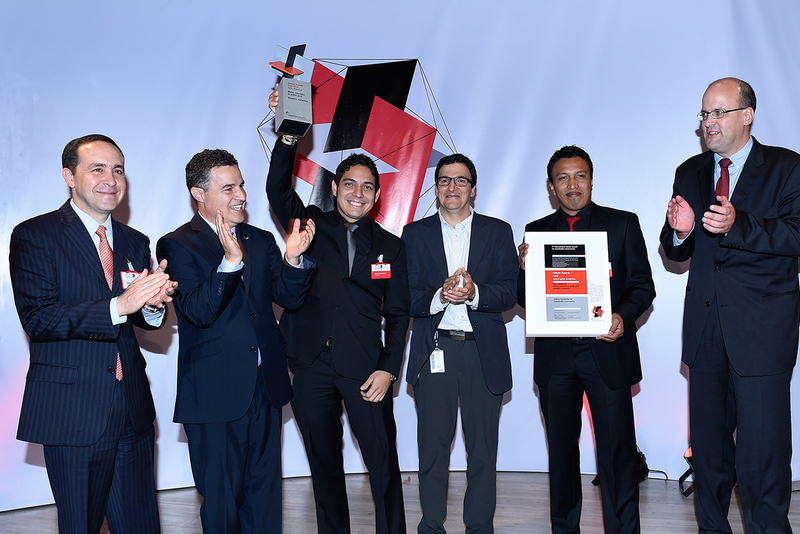 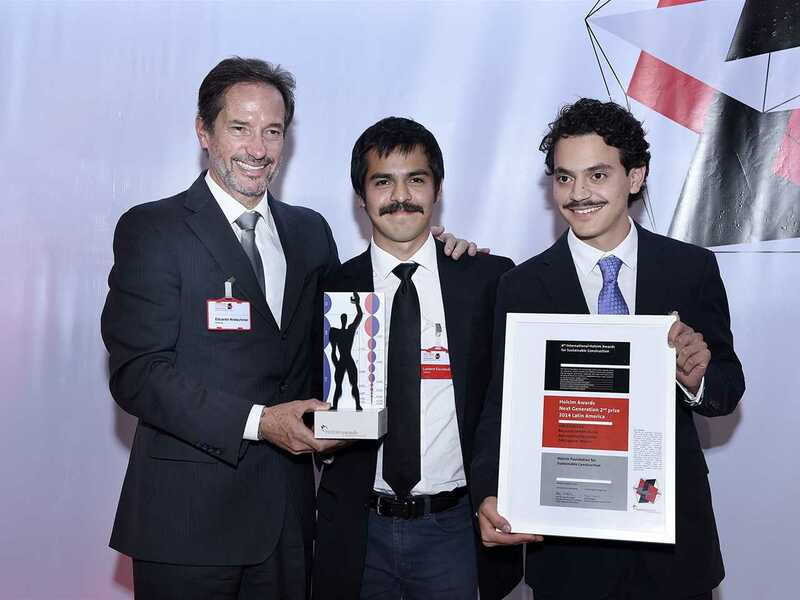 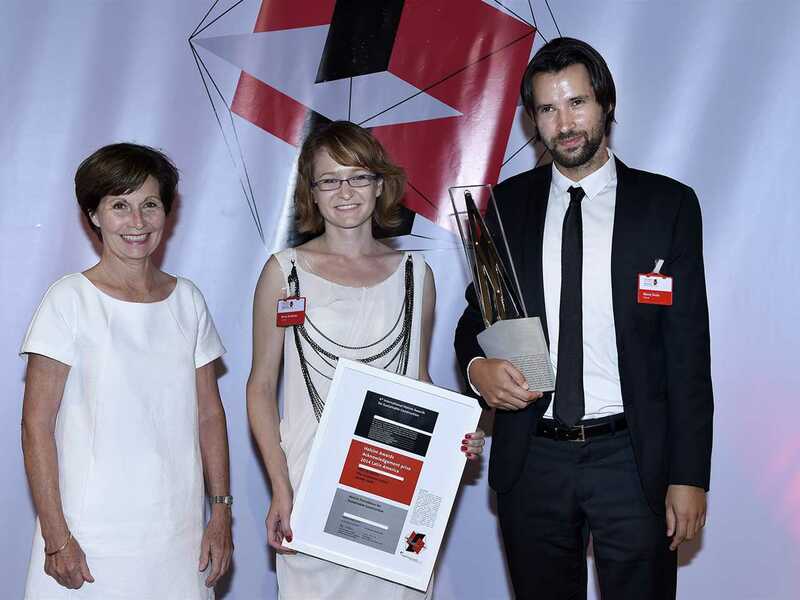 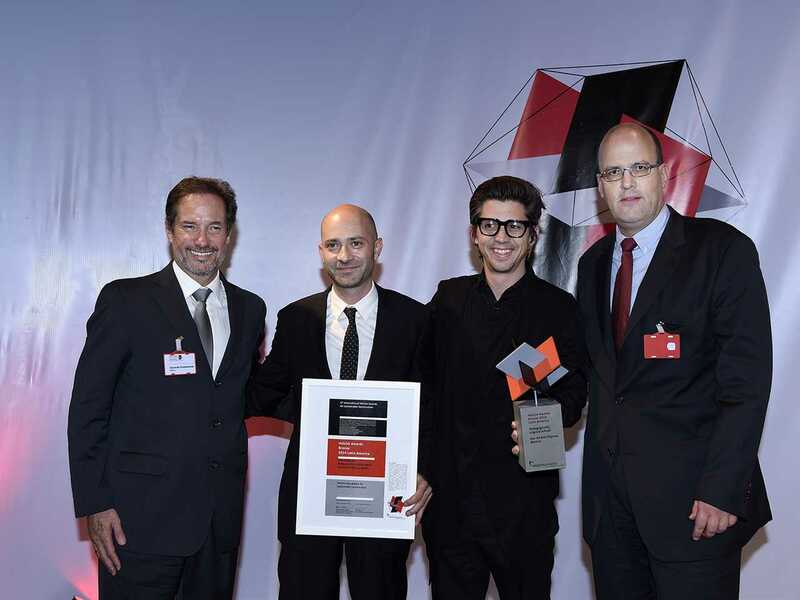 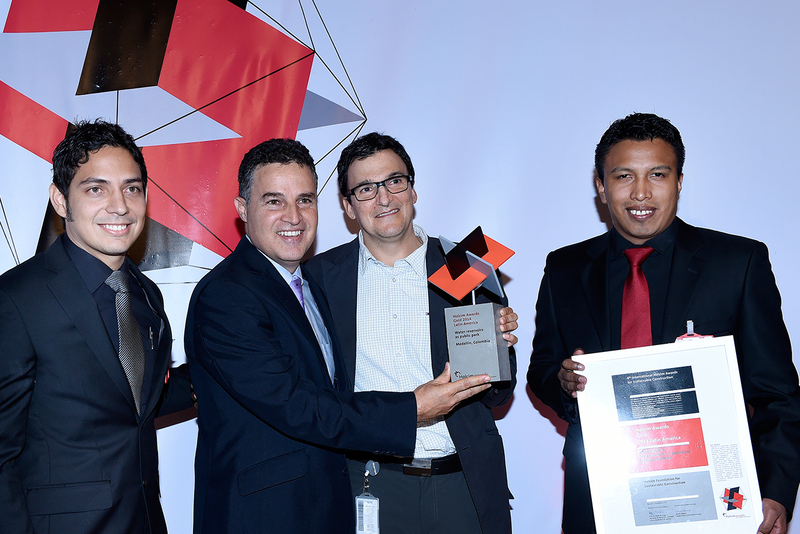 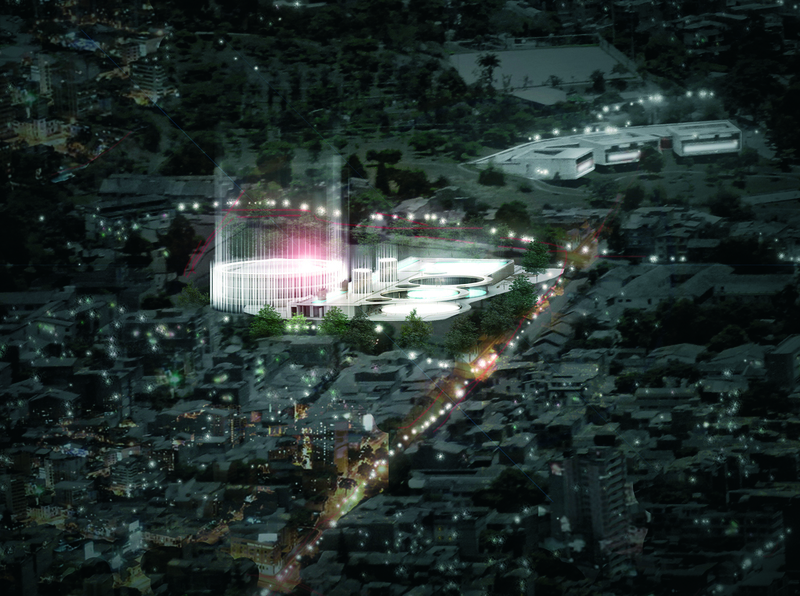 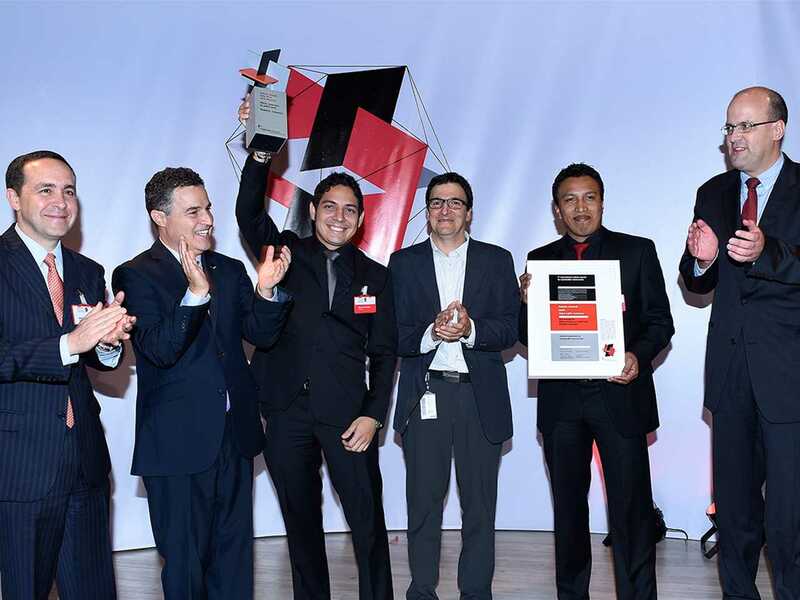 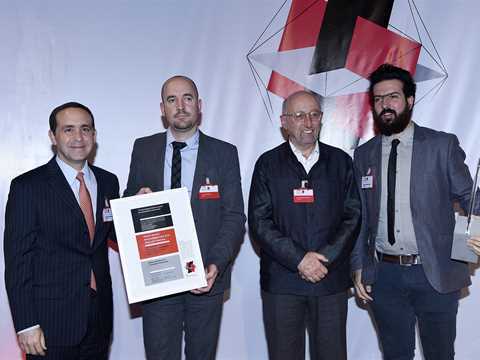 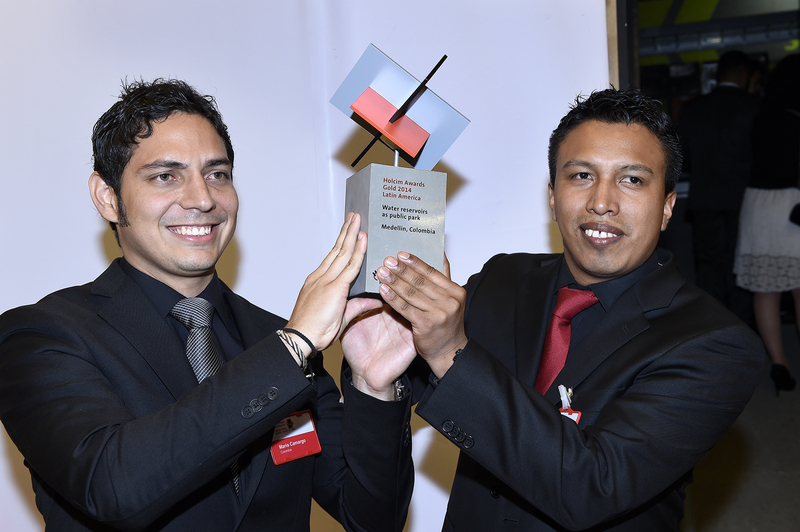 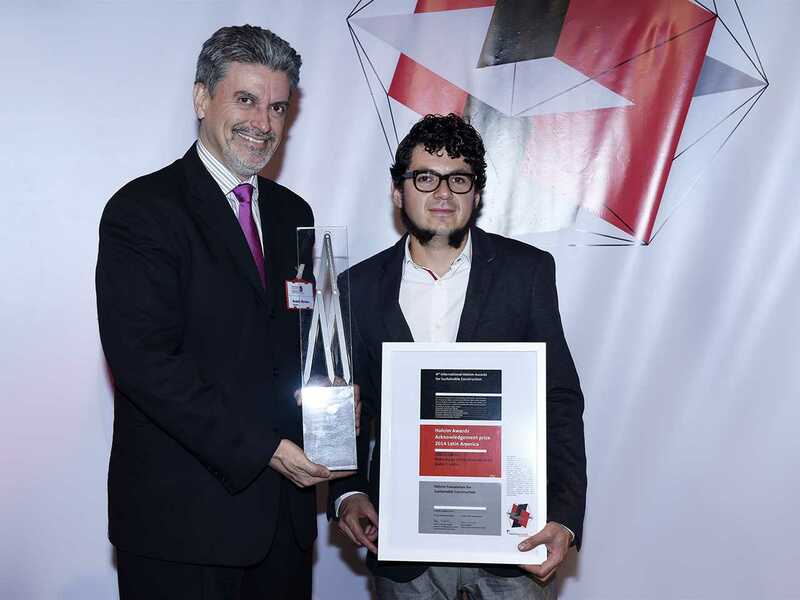 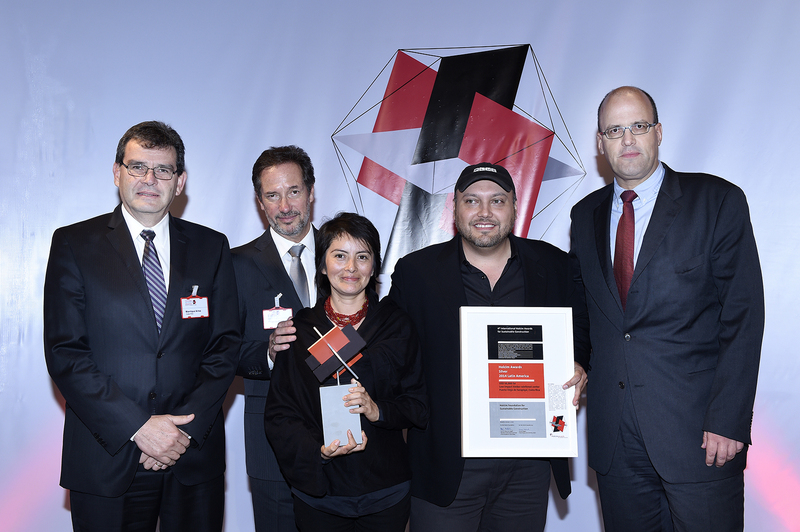 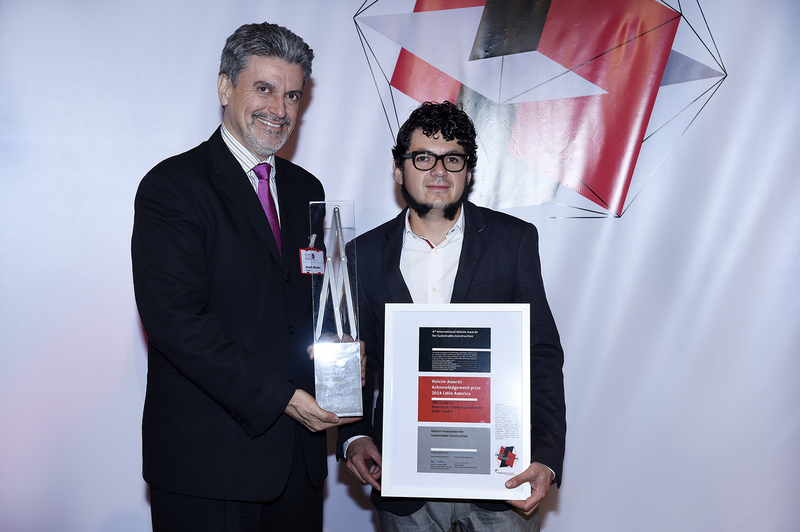 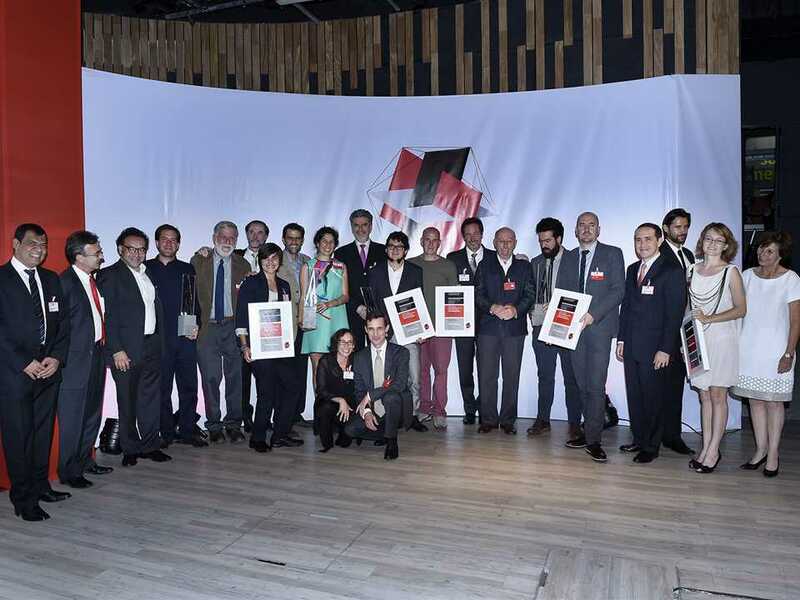 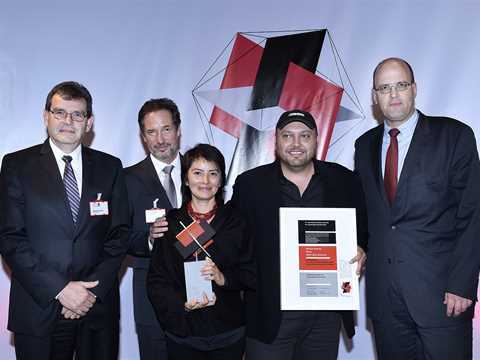 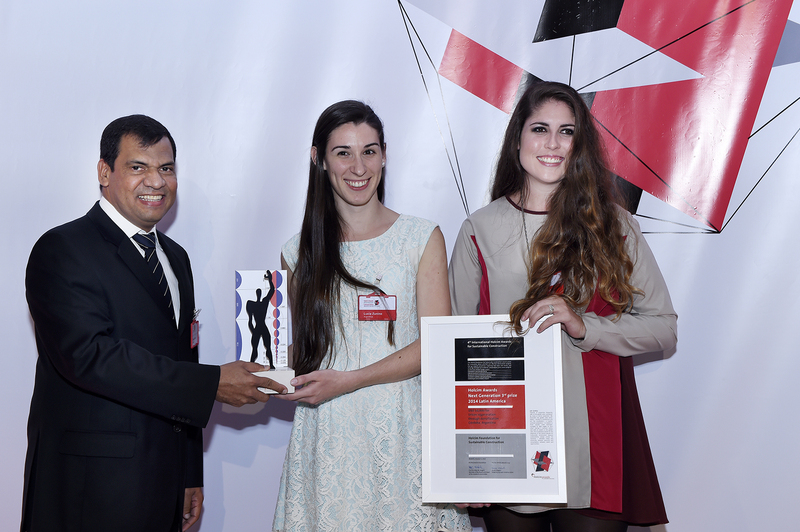 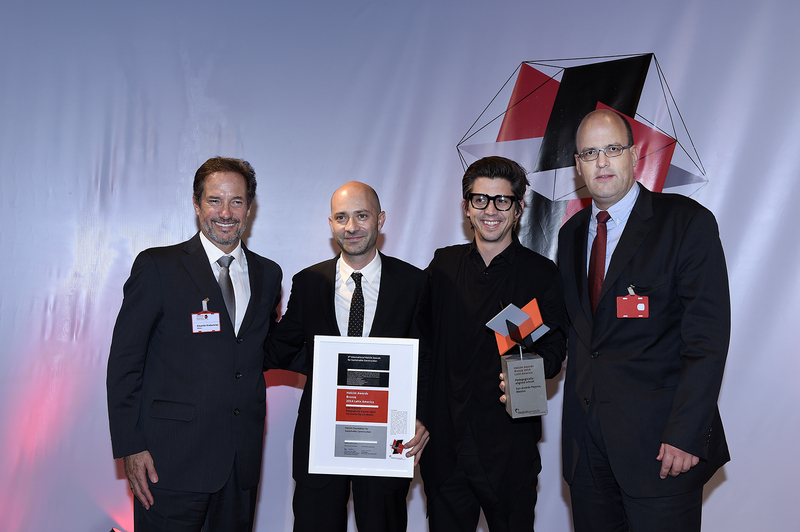 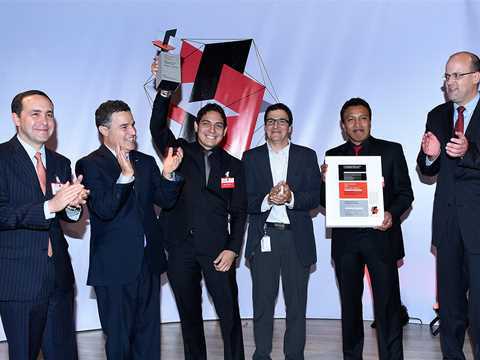 Representatives of all five Holcim Awards Acknowledgement prize winners for Latin America, recognised for outstanding public infrastructure projects in Argentina, Colombia, Ecuador, Haiti and Mexico. 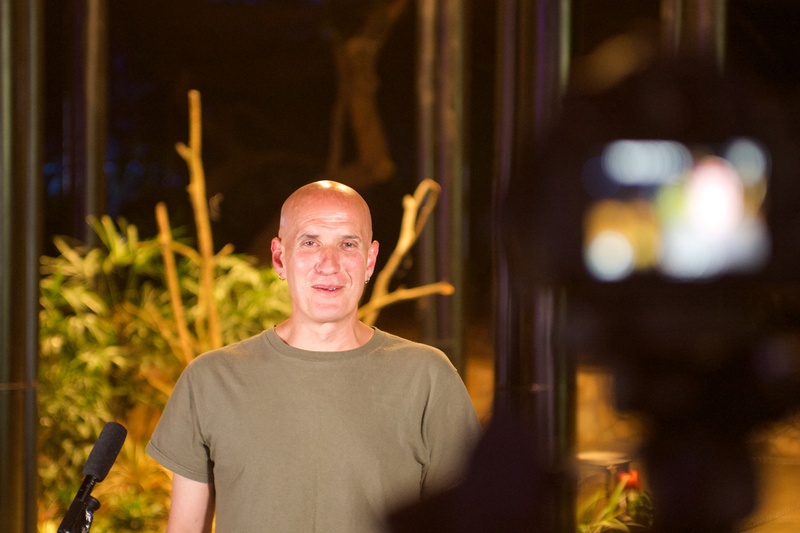 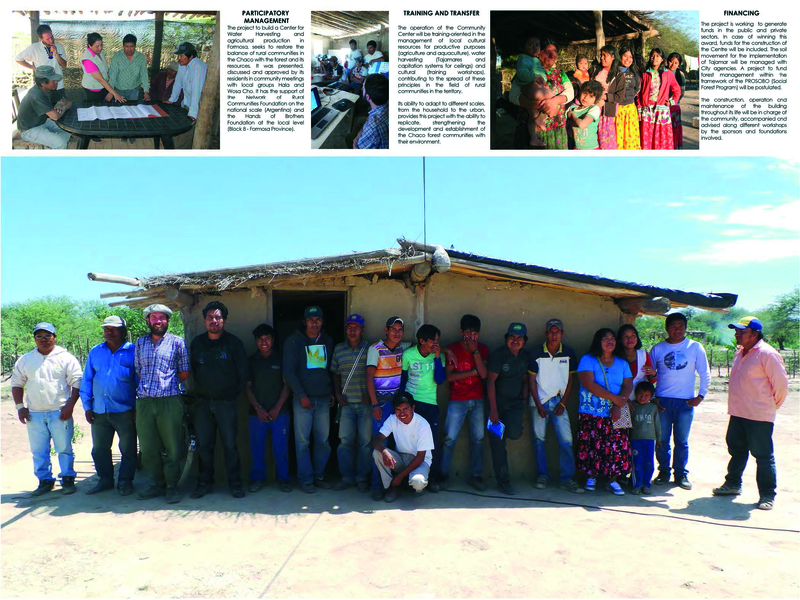 Damian Ariel Fernandez of Red Comunidades Rurales sees the main challenge of the project was to become acquainted with and understand local values and traditions which were then applied to how the project is constructed. “Harvesting Agriculture: Community center for water harvesting and agriculture” in Matacos, Argentina won a Holcim Awards Acknowledgement prize for restoring the balance of rural communities in regions marked by rural-to-urban migration and steadily proliferating poverty. 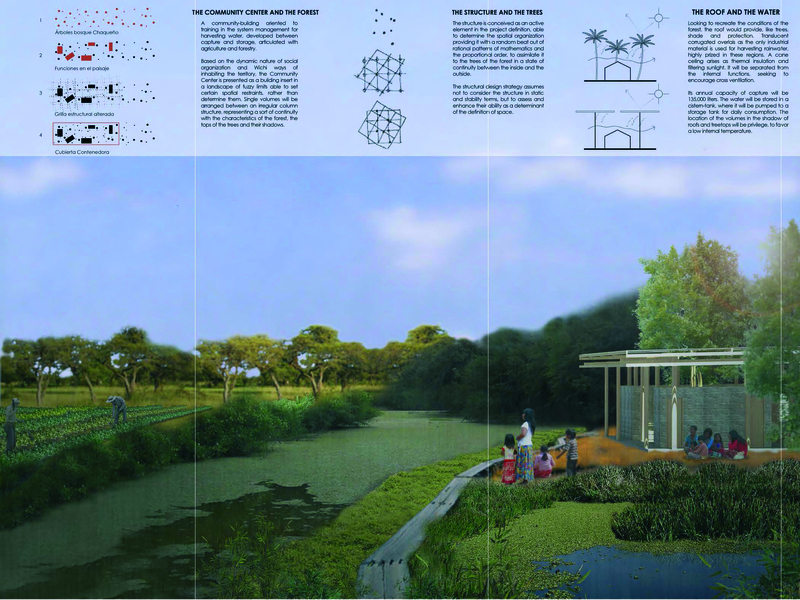 Harvesting Agriculture aims to build a center for water harvesting and agricultural production based on a system for retaining water during periods of summer rainfall for later agricultural use during the dry season in the winter. The province of Formosa in northern Argentina is one of the most biodiverse regions of Latin America. While forests are abundant in resources, its people live immersed in scarcity, among other reasons, due to the advance of the agro-industrial frontier. The project Harvesting Agriculture aims to build a center for water harvesting and agricultural production based on a system for retaining water during periods of summer rainfall for later agricultural use during the dry season in the winter. 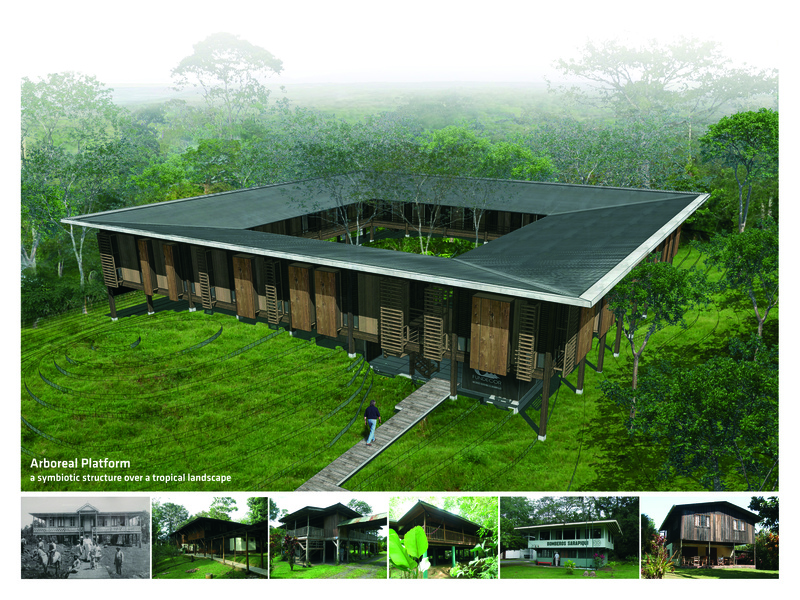 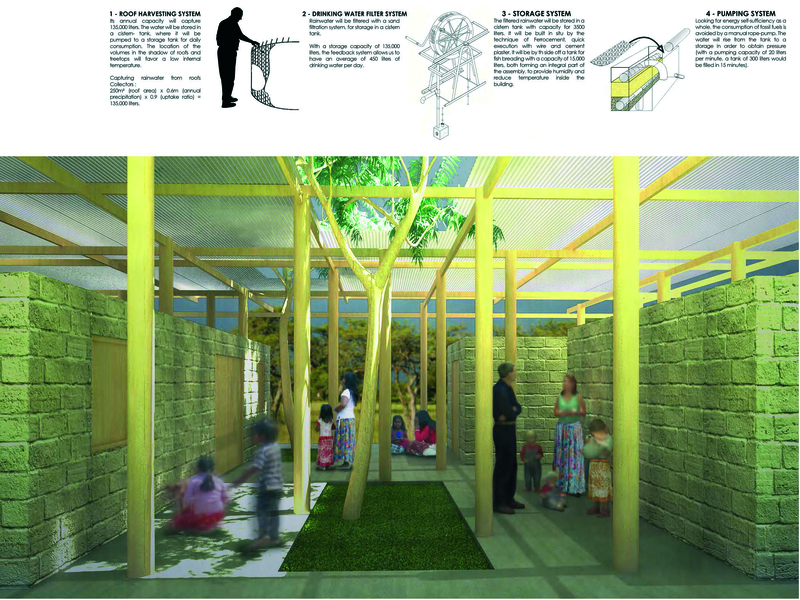 The construction will be managed by the Lote 8 community in Departamento Matacos itself, as a form of empowerment, reassessing traditional building techniques and enabling knowledge transfer to future generations. Damian Fernandez of Red Comunidades Rurales sees the main challenge of the project was to become acquainted with and understand local values and traditions which were then applied to how the project is constructed. 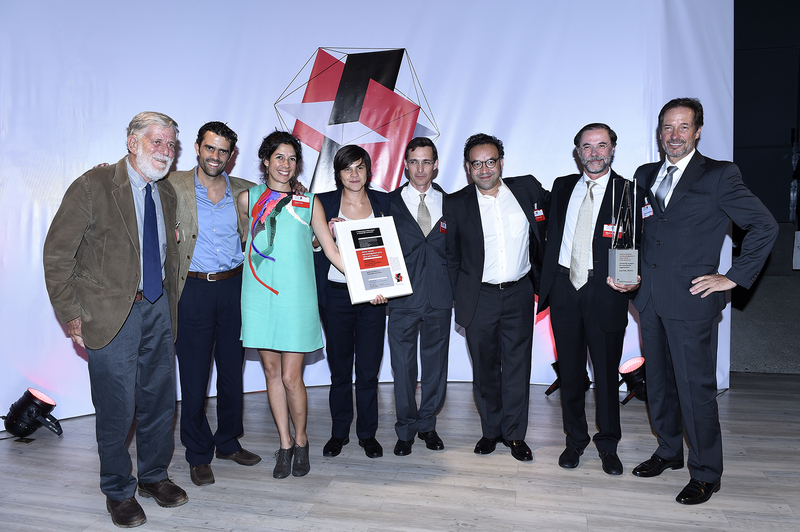 “Harvesting Agriculture: Community center for water harvesting and agriculture” in Matacos, Argentina won a Holcim Awards Acknowledgement prize for restoring the balance of rural communities in regions marked by rural-to-urban migration and steadily proliferating poverty. 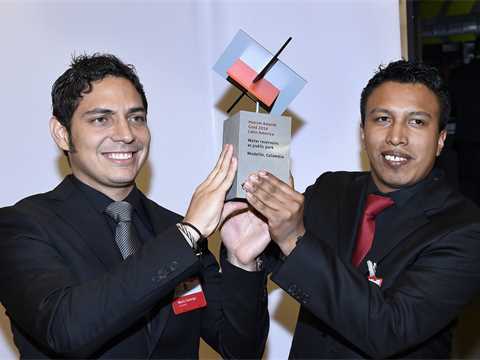 Damian Fernandez and Joaquin Trillo of Red Comunidades Rurales in Argentina were acknowledged for their center for water harvesting and agricultural production for indigenous and Criollo communities of the Chaco forest in Argentina. 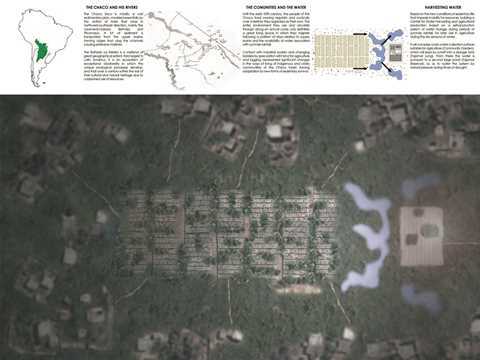 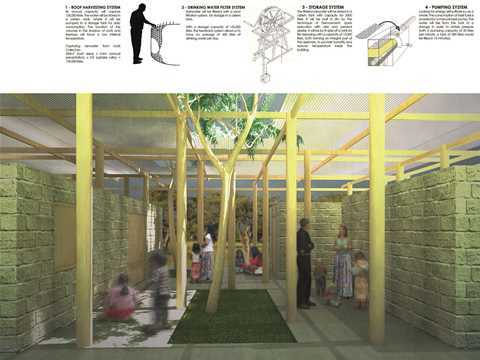 The project’s vision to restore the balance of rural communities in regions marked by rural-to-urban migration and steadily proliferating poverty is commended by the jury. In this context, the design offers a series of strategies to strengthen local agriculture in order to alleviate predominant deficiencies – with the management of scarcity, whether pertaining to water, labor or food, being at the core of the proposed interventions. 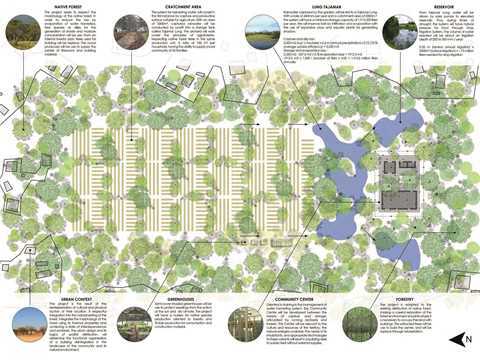 Greatly appreciated is the idea to combine forestry with agriculture, and to propose water retention basins in close proximity to both farming fields and settlements. 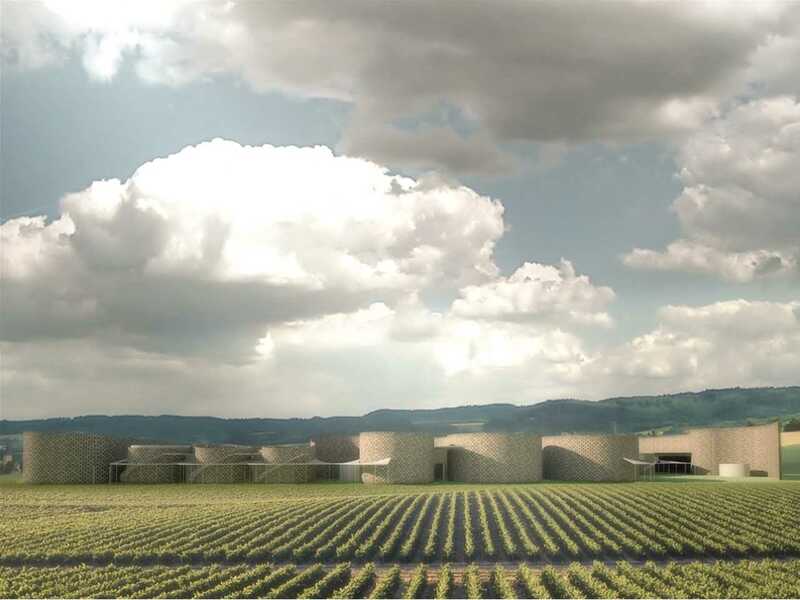 The project makes an important contribution to the field of resource management for regions marked by shortages, though rich in yet untapped assets. 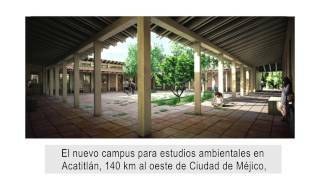 The province of Formosa in northern Argentina is one of the most bio-diverse regions of Latin America. While forests are abundant in resources, its people live immersed in scarcity, among other reasons, due to the advance of the agro-industrial frontier. 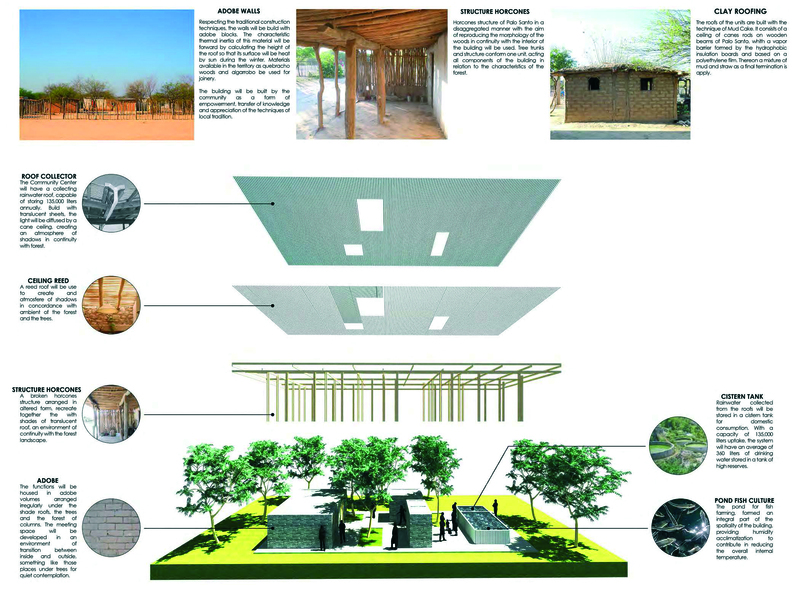 The project Harvesting Agriculture aims to build a center for water harvesting and agricultural production based on a system for retaining water during periods of summer rainfall for later agricultural use during the dry season in the winter. 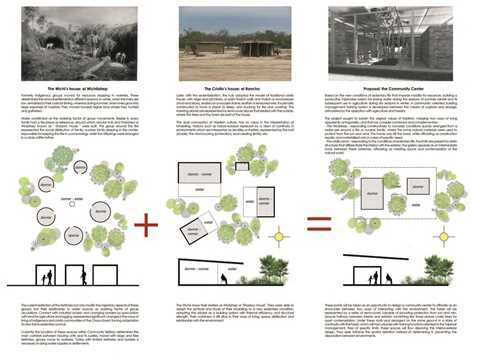 The construction will be managed by the Lote 8 community in Departamento Matacos itself, as a form of empowerment, reassessing traditional building techniques and enabling knowledge transfer to future generations. Contact with industrial society and changing borders by land speculation represented significant changes in the way of life for indigenous and Criollo (creole) communities of the Chaco forest, forcing adaptation to new ways of survival. 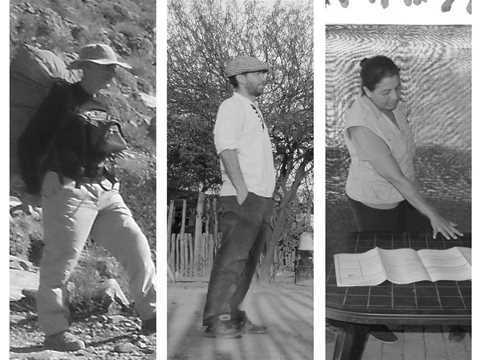 Until the early twentieth century, the organization of traditional societies of indigenous people constituted grouped families who lived by moving regularly and cyclically over a territory they regarded as their own. 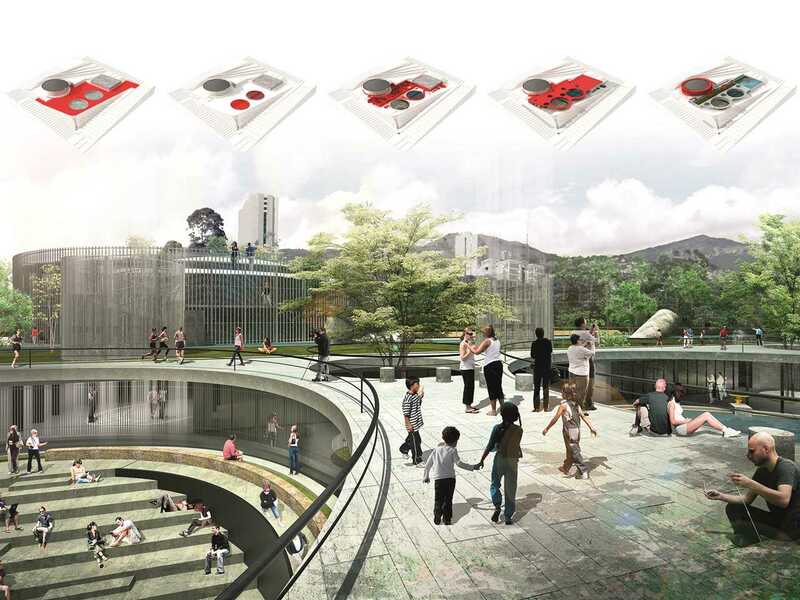 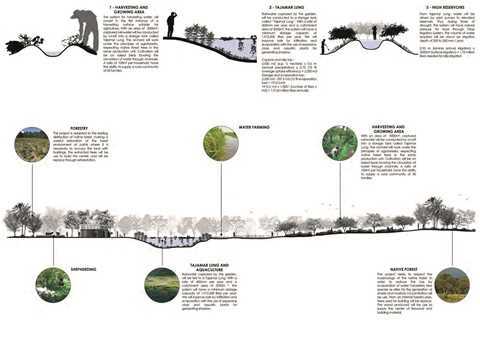 Based on the new conditions of sedentary life that impede mobility for resources, the proposed Center for Water Harvesting and Agricultural Production is based on a self-production system for water storage during periods of summer rainfall for later use in agriculture during the dry season (winter). 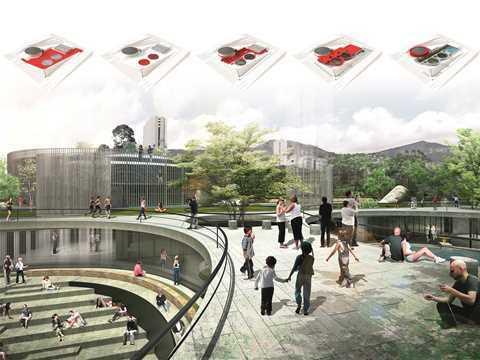 A community-oriented building management training system is developed between the means of capture and storage, articulated by the running of the gardens and various production areas. 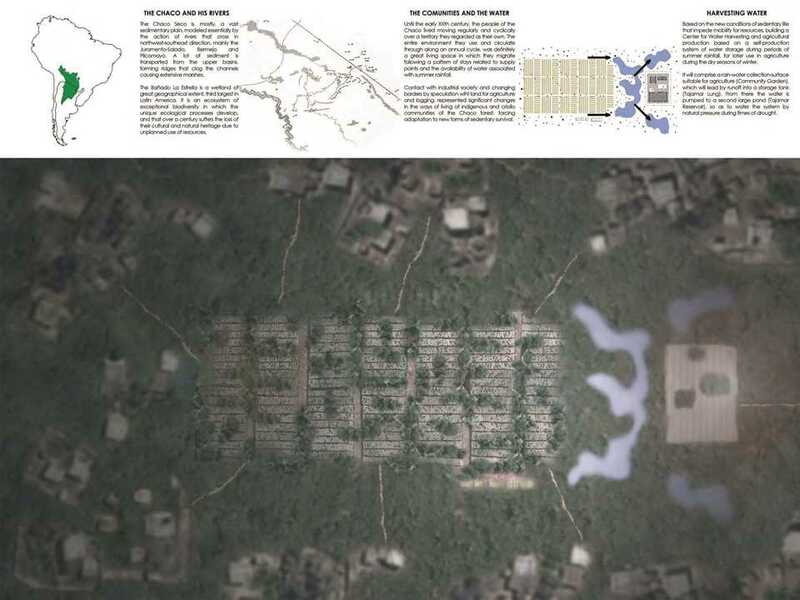 The center will be relevant to the culture and resources of the territory, the natural energies available, needs of its inhabitants, and appropriate technologies to these variants will result in a set that can sustain itself without external supplies. 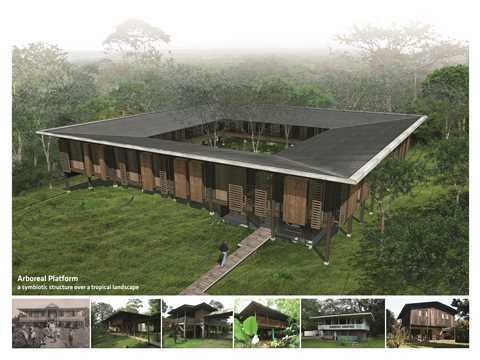 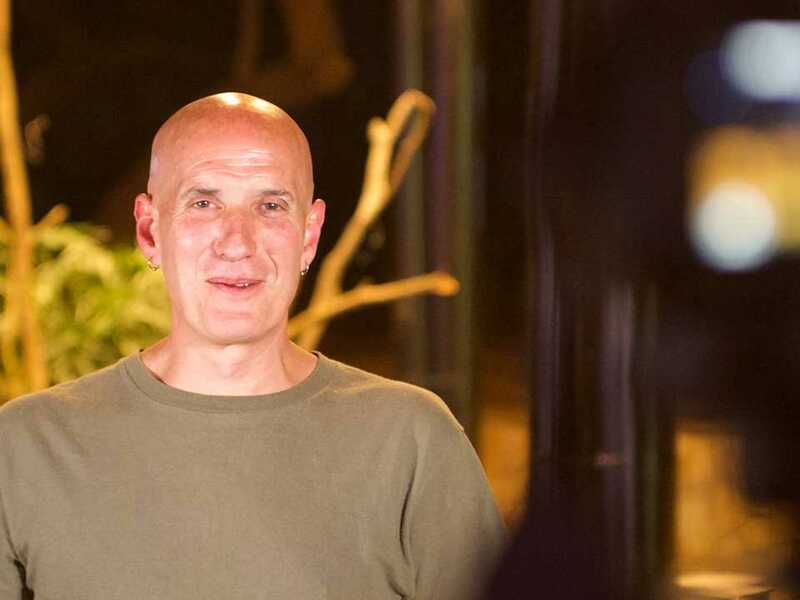 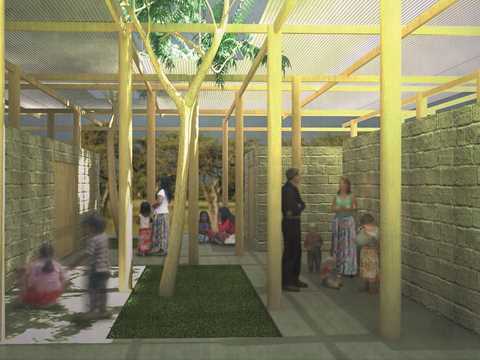 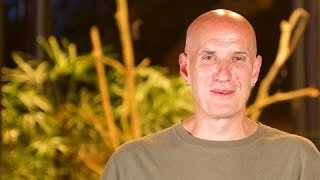 Its construction will be managed by the community itself, as a form of empowerment of the building, revaluation of traditional building techniques and knowledge transfer to future generations. 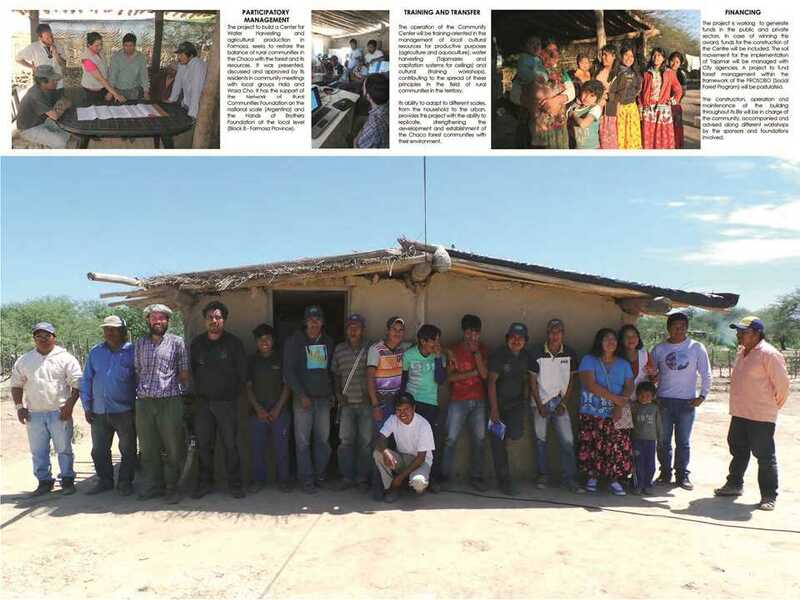 The project has the support of the foundation Rural Communities Network at a national scale (Argentina), and the Hands of Brothers Foundation at the local level (Block 8 – Formosa Province). The project was presented and discussed at community meetings with local groups Hala and Wosa Cho, resulting in a building capable of generating self-sufficient production and food in a small community of 50 families. Through its ability to adapt to different scales, from the household to the urban, this project provides the ability of replicability, and contributes to the development of the Chaco forest communities, strengthening the roots of rural populations within their environment.